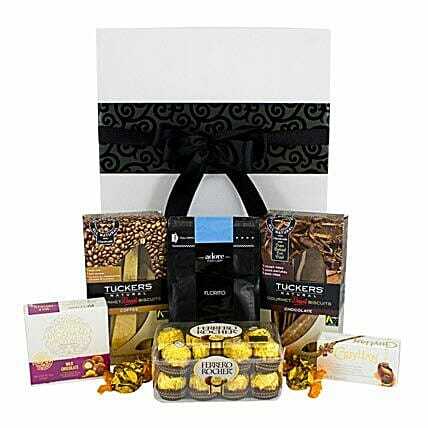 One of our popular gift hampers, this gift contains some of the top brands of coffee and chocolate treats. A gift that will be treasured by anyone who loves their coffee and chocolate. Also one of our great gifts for him!